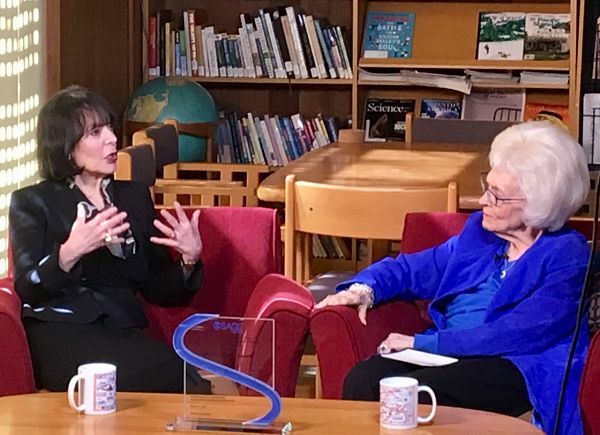 Carol Dweck, left, is interviewed by SAGE Publishing founder Sara Miller McCune after receiving the SAGE CASBS Award for 2019. The award itself is visible in the foreground. Earlier this month, psychologist Carol Dweck, author of the 2006 bestseller Mindset: The New Psychology of Success, received the 2019 SAGE-CASBS Award at the Center for Advanced Study in the Behavioral Sciences (CASBS) at Stanford University. Dweck, the Lewis and Virginia Eaton Professor of Psychology at Stanford, launched a body of research that suggests individuals possess implicit theories of intelligence that reside on a continuum from “fixed mindset” to “growth mindset.” Those with a growth, rather than fixed, mindset, believe natural abilities and innate talents do not necessarily translate to predetermined success; rather, they are starting points for further development and learning through effort, help-seeking, and trying-out new strategies, enabling improved performance over time. Dweck was a CASBS consulting scholar in 2014-15 year and while there she developed a project to better understand students’ beliefs about learning and school which eventually became the Mindset Scholars Network. Last year she received, along with Colombian sociologist Vicki Colbert, the inaugural Yidan Prize for Educational Research, which came with a $3.9 million grant to further both scholar’s work. Social Science Space spoke with Dweck shortly before she delivered her SAGE-CASBS Award Lecture on March 14. You must have explained this multiple times before, but could you briefly tell me how you came to study intelligence and mindsets? In graduate school, I became very interested in why some people took on challenges and persisted in the face of failure whereas others – just as able or skilled — shied away from the same challenges and gave up really quickly in the face of failures. It connected to some early experiences I had had. For example, my sixth grade teacher seated us around the room in IQ order, and even though I was kind of the winner of that system, it made me afraid of challenges or failures. I admired people who could just jump in, come what may, and feel they benefited from something whereas I more wanted to make sure I would succeed before I got into something. Even in my very first studies I saw there were children who, when I gave them problems that were too hard, would roll up their sleeves and salivate and think, ‘Wow, now it’s worth my while,’ whereas others would act like the world was caving in. (Of course, we made everyone feel good at the end.) But there were these dramatically different reactions in kids that had already demonstrated ability on the task. I’m also interested in your work on failure. In some quarters — and I’m thinking on Sandhill Road as a likely locus – there’s a mantra for ‘failing harder’. Assuming that’s a sincere sentiment, how does the popular acceptance of failure today fit in with your years of research on the issue? [Well before my work], people were interested even at the animal level how did animals react to negative events. And then attribution theory was blossoming in the late 1960s, early 1970s. And they asked the question: how do people interpret their successes and failures? So there was precedent for being interested in this. As far as ‘failing harder,’ it’s there in some places. I don’t know if it’s universal — we’ve been studying a large group of startups, and not all the founders or CEOs are that cavalier about failure and learning from their mistakes. Other parts of the country that aren’t Silicon Valley have been slower perhaps to catch on to the benefits of failure. A few years back, I spoke in a European country to a group of business people who said, ‘Oh, here, you don’t get a second chance. You’re really kind of disgrace if you have a failure.’ And I thought, well, this is sad, This is not good news for your innovation going forward. So it’s great to think and useful to think failure is a learning experience. And we’re trying to have it be more of a shared view of widespread shared view. I think the fact that Microsoft transformed itself in terms of growth mindset culture has done a lot to spread that experience. They feel that they would not have resumed places, leaders of the field, if they had not been willing to experiment widely and fail. Did they consult with you? To some extent, yes. I didn’t guide their transformation, but I did consult with them on a few occasions. And apart from sales and TED talk statistics, how has your work been accepted by the public? Do you see your ideas popping up in the non-academic world, and if so, how much violence gets done to your actual work in the retelling? So sometimes people read and the repackage growth mindset without attribution. That’s one thing that happens and a lot of people get indignant on my behalf. But you know, that’s the way it is. Often it’ll come back in a wonderful way that people have gone and change schools, changed organizations, created foundations around growth mindset. That has done tremendous good. So that’s incredibly gratifying. And sometimes it comes back in a form that is less useful, such as so many educators just telling kids to try harder or praising efforts that isn’t there or isn’t effective, which sends exactly the wrong message. So my colleagues and I are working very, very hard to make sure that the messages that go out are clear. And also, many of my colleagues are working on implementation protocols for teachers and organizations. And then sometimes things get attributed to me that I haven’t merited. For example, there was a saying in the 60s and 70s – ‘Becoming is better than being’ — and now people attribute that to me. I repeated it in the Mindset book saying there was a popular saying, but now I see all these posters that read ‘Becoming is better than being’ by Carol Dweck. Given what you’ve learned over your career, what does mindset tell us about inequality? I think it tells us a lot about inequality. My former student, Mary Murphy, who is an incredible researcher, just published a study with her students a few weeks ago about STEM professors. She studied 150 STEM professors who had taught over 15,000 students. When STEM professors held a fixed mindset about intelligence — some people have it, some don’t — the achievement gap in their classes was twice as large as the gap among professors who had more of a growth mindset. The fact that the achievement gap between whites and Asians versus underrepresented minorities is double in the case of the fixed mindset professors says a lot about equality and equality of opportunity. In many of the growth mindset interventions, we find that the interventions have the most the most sizable effect on students who aren’t doing well, students front from underrepresented groups, and so forth. So growth mindset has a lot to say about inequality. One thing you alluded to a little bit earlier is the idea of unwarranted praise. Is that is that something that people use in an effort to achieve growth mindset but in a ham-handed way? Yes, people misunderstand some of our research that did use effort praise, but it was used to explain success. ‘Oh, whoa, look at this. That’s a really good score – he must have worked hard.’ In other studies, we’ve praised strategies, but it’s supposed to focus students on the process they engaged in to improve or do well — it’s not supposed to be the consolation prize if you don’t do well. It’s not supposed to convey to the student that I don’t think you can do better than this, so I’m going to try to make you feel good about your poor performance. Growth mindset is more than anything else about the human potential and how to help it flourish. Telling someone that praising someone’s effort for poor work is not the recipe. You earned your PHD in 1972. What was your experience as a woman in those days? How has your gender impacted your career since? What advice might you offer women following in your footsteps? I’m grateful that the year that I went on the job market, 1972, was the first year that universities were actively looking for women. So that’s number one. Number two, I went to a department, the University of Illinois Psychology Department, that really welcomed and supported me. Not that they had too many women, to add two women two and a half women at a 60-person faculty, but the people in the department and the people in my program, shared resources with me, co-taught with me, supported me in every possible way invited me to join panels they were creating at conferences. I’m just eternally grateful to them. So I just happened to be in a place that was super, super supportive. But that is not to deny that other people were in different kinds of places, and not to deny that discriminatory practices still go on today. It’s just it for the most part, my experiences have been positive. Do you think part of that might be because you’re in the social sciences? You were talking about Mary Murphy’s work in STEM and we keep seeing different things about the difficulty of trying to be a female scholar in the STEM fields. Work by Andrei Cimpian, a former Stanford student, and Sarah Jane Leslie, who’s the philosophy professor at Princeton, has shown that different fields have different mindset. Some fields are focused on brilliance that cannot be taught, while other fields are relatively more focused on dedication and learning. And every field is a mixture, but where’s the balance? In their landmark study, they interviewed scholars in 30 disciplines, and the more the scholars in the discipline said it’s ‘brilliance that can’t be taught,’ the fewer female PhDs there were in the preceding year and fewer African Americans were in earning PhDs in this field — a very strong correlation. By the way, it wasn’t just STEM. There are other fields – philosophy, economics — that hold the brilliance view and there were substantially fewer women and African Americans earning PhDs. So what might you tell a young academic or perhaps a young someone thinking of becoming an academic? First of all, all achievement, regardless of field, is strongly influenced by motivation and learning. Second, it’s often helpful to collaborate with people in your department or field who are more senior and who then are invested in your development. Could you talk about the formation of the Mindset Scholars Network? Absolutely. First of all, CASBS and Margaret Levi were instrumental. They provided home for the Mindset Scholars Network before it was a network and they provided funding for scholars and fellows. They have grants; they hosted the original meetings of the network. Ellen Konar, who’s a psychology PhD who has worked widely in tech industries, had the idea of partnering with CASBS and creating a home for the scholars network. CASBS also helped us become interdisciplinary, so the Mindset Scholars Network — which is now freestanding organization – isn’t just psychologists but sociologists, statisticians, educators. It’s quite broad. CASBS believed in us before we even knew we were. You and Vicki Colbert shared the inaugural Yidan Prize. I’m wondering what does that mean to you as a scholar? The prize money, all of it, went into research. So it gives me unlimited opportunities for future research, which is super exciting. But I think what you’re asking more is, what does it mean to me, and it’s extremely gratifying to feel that your work is appreciated, that your work has contributed to an important conversation in society. it’s gratifying to think that a vision that you had and that was shared by your collaborators has been recognized as important and impactful. And I was absolutely thrilled to get the Yidan Prize but also the SAGE-CASBS award because I so admire people who have gotten it in the past, people I think of as having real vision. I’m so honored to be placed among them. So you mentioned the Yidan Prize money going to research. What can we expect from you or from your team in the future? The Yidan money has gone toward following up the students who were in the national study. We’ll also be able to look at what were the characteristics of teachers who had classes full of growth mindset students, and math teachers who had classes full of fixed-mindset students. Another part of the Yidan money went to Mary Murphy and Stephanie Fryburg, who are working with the Seattle Public School teachers to create a curriculum for teachers that will help them implement growth mindset practices in their classrooms. I’m going at all kinds of directions. 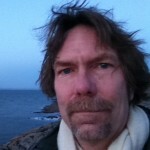 I’m collaborating with Mary Murphy also on work in organizations. I’m also going to the neuroscience level, shedding light on how growth mindset operates in the brain and contributes to learning and growth of sets. Very exciting new directions. So I’m keeping busy. This entry was posted in Career, Public Engagement, Recognition and tagged Carol Dweck, CASBS, Growth Mindset, Psychology. Bookmark the permalink. Trackbacks are closed, but you can post a comment.